Knowing where exactly we are in the universe is a serious issue for anyone no matter in the past, present, or future. As what Immanuel Kant claimed, space and time are the frameworks that structure our experience. The space and the science of describing it cannot be separated from our daily lives. When we were kids, we used specific geographical features to memorize the location. Of course, the relative location should always not be mentioned with accuracy. Because once the feature changed, people got lost. Therefore, the tech of describing the absolute location emerged and solved the problem. Setting a coordinate system and getting coordinates seem like a simple task. However, no place on earth can keep its condition always the same because even the steadiest place can be affected by the tectonic movement. After a period, coordinates of the same place will change. That’s why we need accurate and real-time positioning techs to ensure major construction can be well carried. Global Navigation Satellite System (GNSS) is now the most commonly-used technology for global positioning. As the pioneer and major component of GNSS, Global Positioning System (GPS), moved to the fully operational stage in 1994. At first, GPS was designed as the guiding system of US military. US armed forces need accurate position to make decisions and deploy their troop. Now, GNSS is composed of four major satellite systems. First, GPS is missioned by the USA and has the highest satellite coverage. Second, launched in 1976, GLONASS comes from Russia. Third, Galileo is the one operated and maintained by the European Union (EU). The last is BeiDou Navigation Satellite System (BDS), which was started in 2000 and has become more and more successful in recent years. Although these systems are different in some details and technologies, all of them can deliver two kinds of essential information: position and time. Let’s focus on the former here. Positioning is not only receiving the signals from satellites. The signals must be rigorously processed and calculated to become a set of useful data. Two common indices for assessing the quality of signal are the geometry and signal-to-noise ratio (SNR). In some post-processing methods, thresholds will be set to filter out low-quality signals. For example, when the geometry is lower than 15 degrees or SNR is smaller than a specific value, some post-processing operations will delete these signals to avoid the interference. 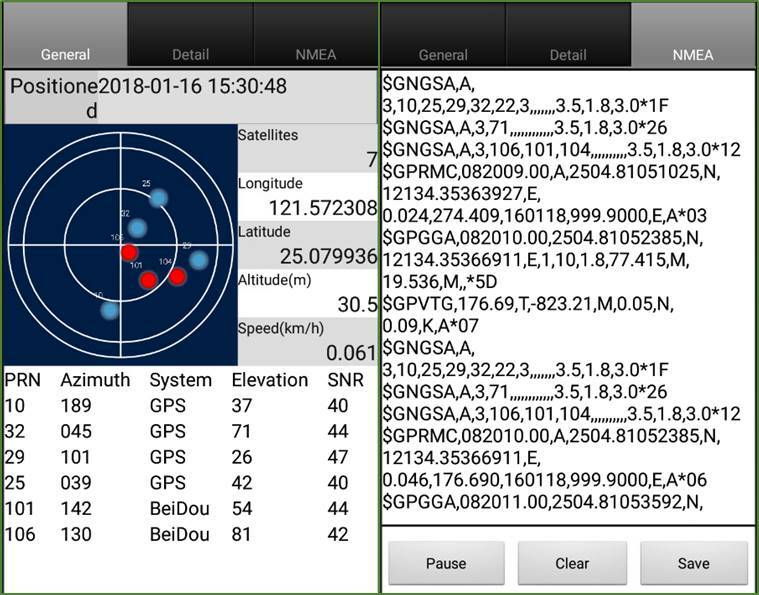 In SuperSurv 10.1, users can quickly check the satellite geometry and SNR on one screen (Fig.1) and get records in NMEA format directly. What information will be sent via NTRIP? First, RTCM is an international standards organization, the abbreviation of Radio Technical Commission for Maritime Services. It has set a series formats to record different information, which contains many types with different IDs (Table.1). For example, the Message Type 1021 describes the method of coordinate transformation, the height system, the datum information, and 7 parameters for 3-axis coordinate transformation. The seven include 3 for axis-translation, 3 for axis-rotation, and 1 for scaling. Type 1023 records the methods of horizontal and vertical interpolation, and it also contains accurate grid residuals. By establishing the 4 × 4 mask window around the current location and resolving the grid, the corrections of the three axes of the 16 grids are obtained. To get accurate coordinates, users can choose a project with a specific coordinate system in SuperSurv10.1. Furthermore, it allows users to create self-defined projection parameters to fit the local terrain. 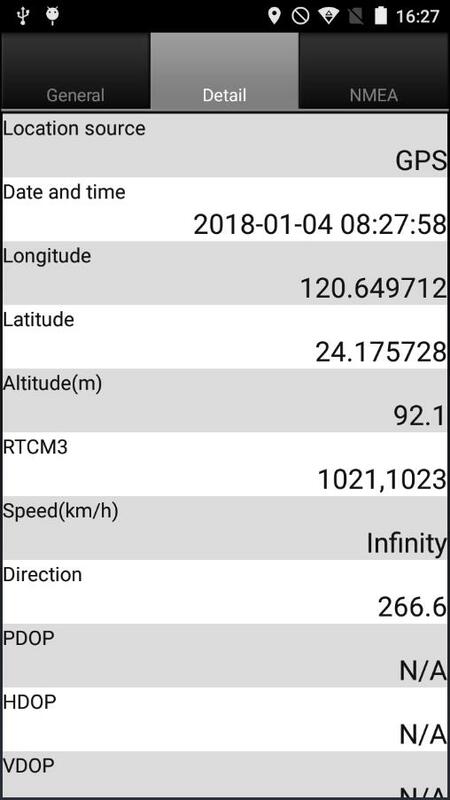 When combining NTRIP service with RTCM 3.1, users can send the coordinates of the current location, and then the server will catch them and send corresponding parameters back to the users. SuperSurv 10.1 can conduct coordinate transformation and grid interpolation when getting the parameters. In that way, it will get a more suitable local coordinate frame, and obtain more precise coordinates (Fig. 3). The modern technologies are changing and advancing every day. Nowadays, we have numerous instruments that need highly precise positioning to work in various industries. To improve our day-to-day lives, we need to adapt and develop different techs continuously. RTCM 3.1 is one of our significant steps of changing! Data collection is always the first step in every sector. That’s why we start changing from data collection. 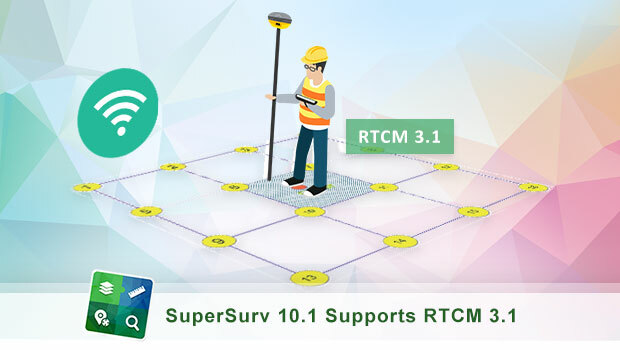 With SuperSurv 10.1, people are allowed to collect highly precise coordinates in the future. Meanwhile, get better data and get a better life!